This is my 5th year of affiliate marketing journey, and I love it. Affiliate marketing is my best choice to make steady online income through best affiliate programs. Currently, my one of the online income stream is via affiliate marketing. I learned affiliate marketing via from top affiliate marketers via courses. There are a lot of affiliate marketing courses available to teach you to make money from affiliate marketing. But you should go for the best affiliate marketing courses because there are lots of scams out there, so you should be careful to join the best course. Usually, I recommend only the best products to my readers. 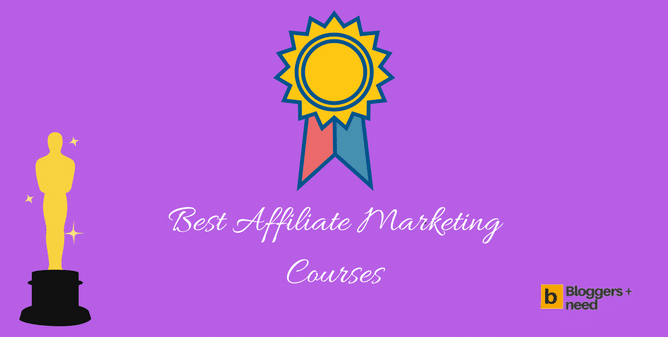 Here are my top recommended affiliate marketing courses. I am not like others to promote the products for the only purpose of affiliate commissions. Of course, I earn a commission via promoting these courses. But I’ll be honest and frank about these courses which you’re going to learn. Because I’m always straight forward and that’s my style. Usually, every affiliate courses will be made by an affiliate who spent years of doing affiliate marketing successfully in the right way. I too spent years for learning affiliate marketing, but I’m lazy to make affiliate courses. But soon I’ll make it. Now coming to the point every affiliate courses you learn will have the same style of teaching on the same concept. From bottom to top it will be same. Because affiliate marketing works on the same patterns too. And the best affiliate marketing courses you see below is no exception it will also teach the same concept but with different ideas. Moreover, these affiliate courses will have the premium community with members who are top notch affiliate marketers willing to help and guide you in the right way. Affilioblueprint marketing course by the no.1 affiliate marketing blog Affilorama founded on 2006 by Mark Ling. Affilorama is considered to be one of the best blogs to teach about affiliate marketing stuffs. 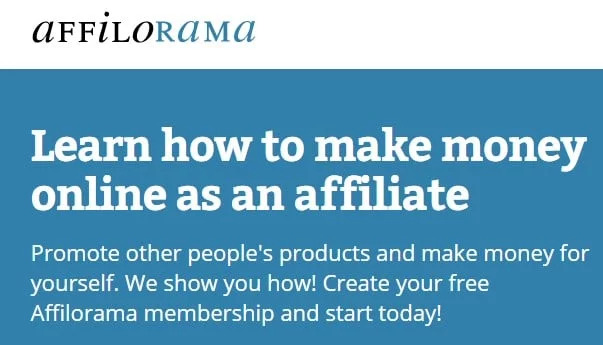 Now the Affilorama trains affiliate marketing to more than 300,000 members all over the world. They provide free video lessons, tools to learn about affiliate marketing skills and tips which highly grabbed more people to join Affilorama. The free videos were too good, and many forum members wished to learn more, and they requested Mark Ling to start a premium section to teach affiliate marketing in depth. With the request of Affilorama members, Mark Ling launched AffiloBlueprint, the best affiliate marketing course to become successful in affiliate business. AffiloBlueprint is the step-by-step course to make money online by affiliate marketing. The system is so simple even a beginner who knows nothing about online earning can make money by taking this course. All these topics are covered by 90+ step by step video lessons with downloadable materials. Once you enrolled on this course, you will have lifetime access, so there is no need for renewing every year. They give daily homework’s to improve your skill. Staffs always available to answer all your doubts and even the members joined this course will answer your doubts if they know. By discussing with other members, you will be learning more and more day by day. By doing lots of homework’s and experiments obviously, you will be making money by taking this course. 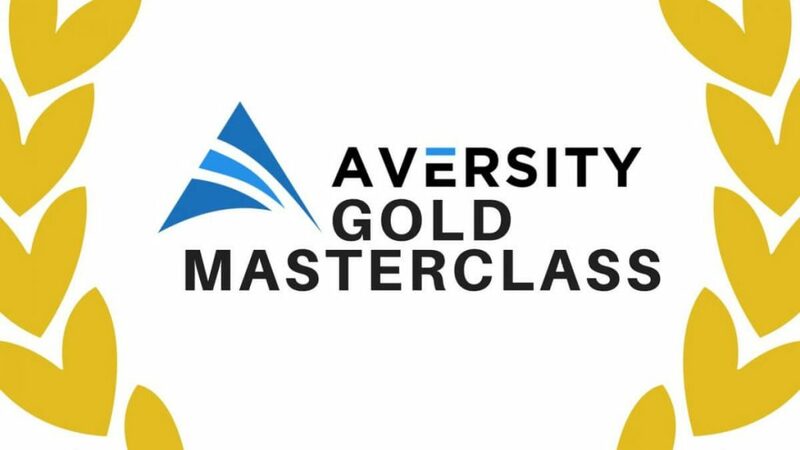 Averisty Gold Masterclass is my latest affiliate marketing training program which I found stunning and 100% legit. I found the founder of this course while watching one of his video about paid search engine marketing. I found that video really helpful for my new product campaign where I good amount of money in a week. Sean Bagheri is the man whom I talk about, he is one of the top affiliate marketers and he already made $5 million through promoting products. 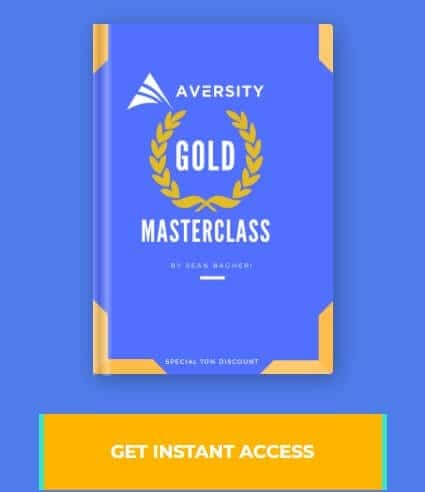 After researching about him I came to know that his one of the students already making $11,000 month by following strategies taught inside the course. That’s the value of his course. Wealthy Affiliate is another place to learn about affiliate marketing and legit place to consider. Wealthy Affiliate is similar to Affilorama course but with the slight difference. The wealthy Affiliate program teaches very basic stuff and if you are new to the affiliate program and don’t know anything about I would prefer you to take this affiliate marketing course. But AffiloBlueprint is my best option also it will purely beneficial for new beginners too. 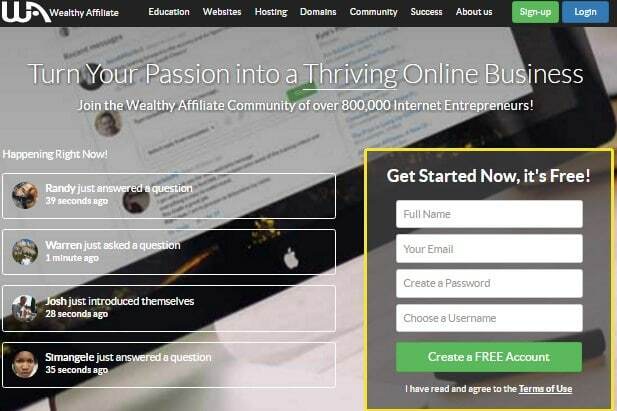 The owners of Wealthy Affiliate are Carson & Kyle, and now the community occupies 800,000 Internet entrepreneurs. With series of videos you will be learning all this step and by the end of this training, you will making money online. Unlike Affilorama, Wealthy Affiliate provides Web Hosting & Domain registration services at affordable price. Although Wealthy Affiliate has this many features I like and this is the advantage for beginners but got some drops. This affiliate course will teach about ranking fast on Google to bring visitors, and it will work guaranteed. However, this will work for low competitive keywords, but if you want to rank for high competitive keywords having high searches, then my advice is to forget about Wealthy Affiliate and simply go for AffiloBlueprint. But If you the idea of trying Wealthy Affiliate then I would advise you to join as free member analyze thoroughly and then upgrade to premium plan later. Google sniper is the money making affiliate marketing course, but this course fully targets Clickbank products. This affiliate marketing course is created by George Brown an Internet Marketer who made millions through his own ideas. Now he sells the actual idea in the form of product which brought thousands of dollars daily to his bank account. AffiloBlueprint and Wealthy Affiliate works for all, and you can apply their blueprints and make money through any affiliate programs like Amazon, Ebay, etc. But Google Sniper will only work for Clickbank affiliate products so use this affiliate course if you want to target Clickbank products. After purchasing Google Sniper, you will get premium membership account with all course materials like videos, PDF’s, etc. Also, you will receive affiliate marketing course materials in DVD. Though the product is legit but nowadays some of them using negative words like “Scam” ‘Fake” “Never” etc to grab people attention to click their website. So never read such false promotions, also don’t believe my words you itself try by using it. They are also offering trail packs to try so check it and later upgrade to premium membership account by paying $47. AffiloBlueprint Vs Wealthy Affiliate Vs Google Sniper? Among 3 which is the best affiliate marketing course to join now? 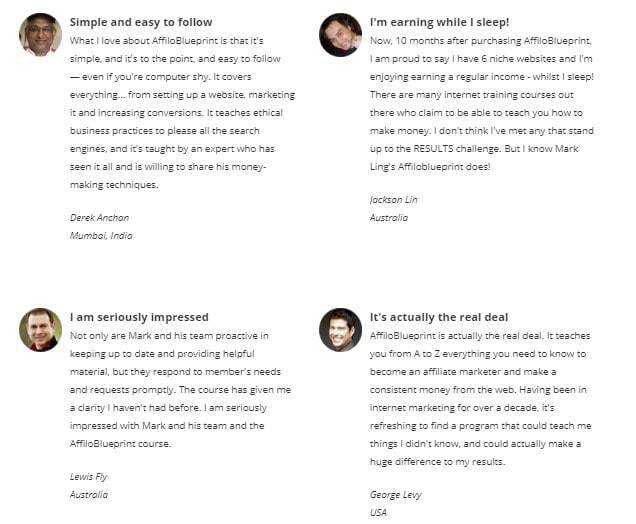 AffiloBlueprint now having so many successful and satisfied customers who used their course to build affiliate business. Wealthy Affiliate only works for low competitive keywords, but AffiloBlueprint works well high and low competitive keywords. Another thing is Wealthy Affiliate marketing course costs $49 per month, but Affilorama costs $197 onetime payment for lifetime access. AffiloBlueprint has the 60-day money back gurantee, but no money back guarantee for Wealthy Affiliate users. Take AffiloBlueprint affiliate marketing course if you truly want to build a profitable affiliate business. Or you want to make money by promoting Clickbank, Shareasale, Amazon, Jvzoo, Cj, etc products then take Aversity. Try these best affiliate marketing course and enjoy financial stability, freedom and make money while you sleep. Google Sniper has a bad review so I dont recommend it. I know u mentioned that u get a commission out of any sign ups through ur links! And i do respect that and if i am gonna sign up i will do it through ur links. So really affiloroma is good for a beginner like me who doesn’t know anything about the affiliate marketing?? I need something from the scratch! !